Zespri is one of the world’s leading horticultural companies and ships tens-of-millions of trays of kiwifruit worldwide each year. GPS-it developed, and have carried out, the cultivar licensing audit programme for Zespri since 1999. With several highly valuable kiwifruit cultivars that Zespri licenses to growers based on area grown and they needed a way of ensuring planted areas complied as per license agreements. Using both ESRI’s Collector mobile app as well as using Leica survey equipment orchard data and imagery of orchards is collected. It’s then geo-processed and the finished data can be shared via web maps to Zespri and other industry stakeholders and then used for further analysis, such as crop yields and spray analysis. Zespri can control and plan the supply of kiwifruit to achieve the best possible grower orchard gate returns, resulting in strong orchard property values and continued demand for kiwifruit licences. 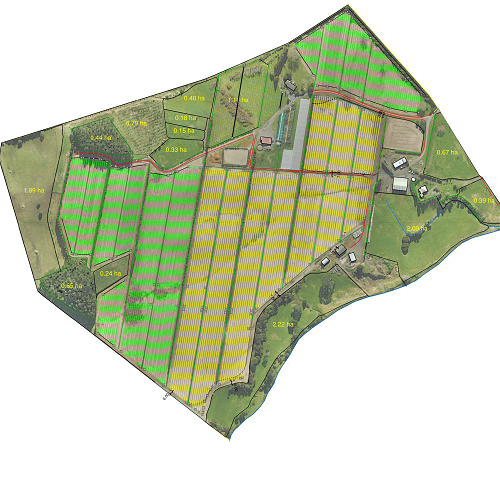 We’ve built New Zealand’s most complete kiwifruit orchard GIS dataset, of over 20,000 orchard blocks across over 2,500 orchards.